UK.nbsp;His research interests are in the areas of English phonology and morphology, including morphological and phonological theory.nbsp;His publications include An Introduction to Phonology (1989), English Words (1994) and Contemporary Linguistics:nbsp;An Introduction , 3rd editions (with William O'Grady and Michaelnbsp;Dobrovolsky, 1997) nbsp; PAUL KERSWILL is Professor of Sociolinguistics in the Department ofnbsp;Linguistics and Modern English Language at the University of Lancaster, UK.nbsp;His areas ofnbsp;research and interest include social dialectology, language variation and change, and English accents and dialects.nbsp;His publications include Dialects Converging: Rural Speech in Urban Norway (1994) and Dialectnbsp;Change: Convergence and Divergence in European Languages (2005). nbsp; RUTH WODAK is Distinguished Professor of Discourse Studies in the Department of Linguistics and Modern English Language at the University of Lancaster, UK.nbsp;She has published widely in critical discourse studies, on issues of identity politics, of exclusion and inclusion and of social and political changes. TONY McENERY is Dean of the Faculty of Arts and Social Sciences at the University of Lancaster, UK. His research interests in English corpus linguistics as well as corpus linguistics applied to languages other than English. 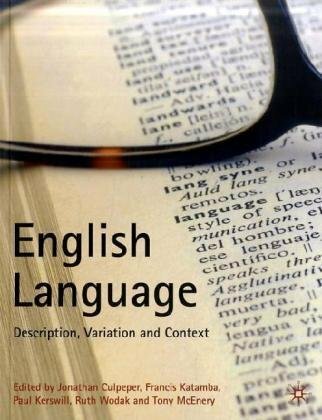 He has wide experience of editing and authoring, and is currently editor of three book series, Advances in Corpus Linguistics (Routledge), Empirical Linguistics (EUP) and Routledge Frequency Dictionaries (Routledge).